Thinking its time to try your hand with a gas gun? Looking for more realism, or simply just the fun of recoil? In store we carry a range of Gas powered pistols and have recently started to expand our Range of Gas Blow Back rifles! Heres a look at what we’ve received this week! 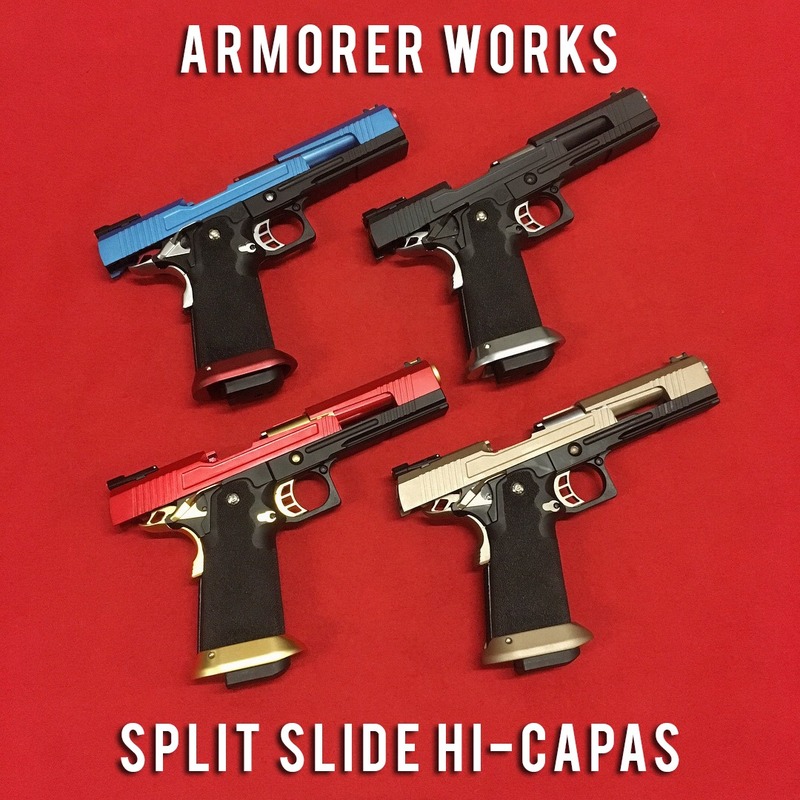 Good news for you Armorer Works Lovers out there, we’ve got Armorer Works Split Slide Hi-Capas back in store! We all know that once you try a Split-Slide Hi-Capa you’ll never touch that mundane Glock again! These Pistols are by far some of the snappiest on the Airsoft Market, Perfect out the box for both AIPSC/Target Shooting and Standard Skirmishing! Featuring the same familiar Hi-Capa/1911 style controls with a Backstrap Safety, these pistols sit comfortably in the hand thanks to the extended beaver tail safety and ergonomic lowers. 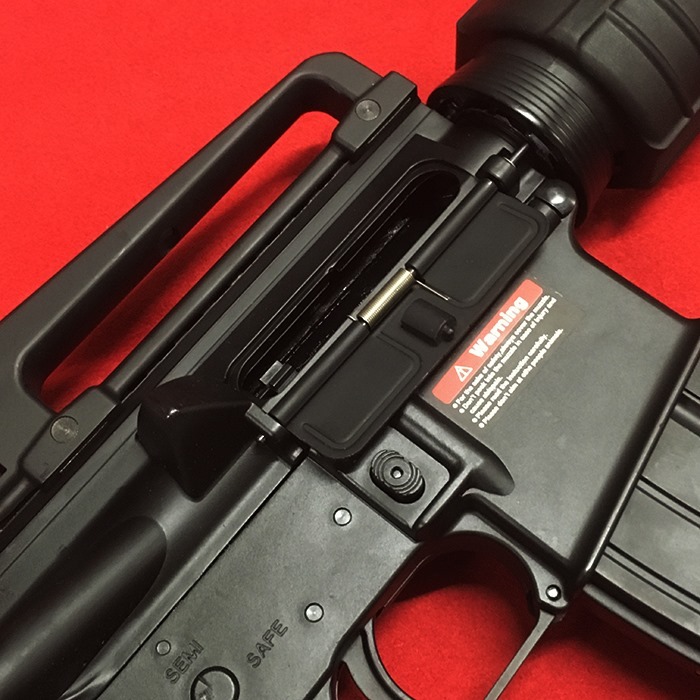 Although the Split Slides do not come with threaded barrels, they do offer a Sight Plate to allow the Mounting of a Small Dr Style Red dot sight in place of the rear sight for quick target acquisition. If you’re a pistol freak whose after something to tear things up in CQB then we suggest you check out these pistols! Alongside the Split Slide Hi-capas we have also restocked 2 more customer favorites! 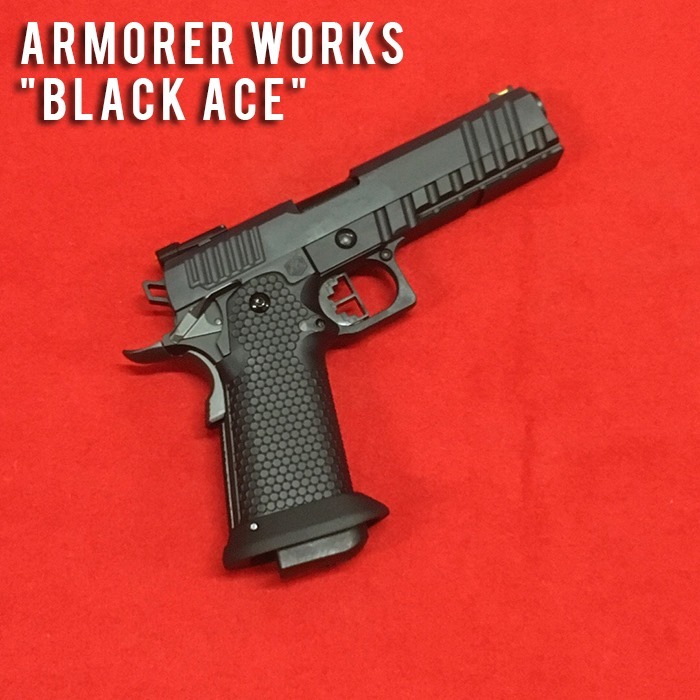 The "Black Ace" Hi-Capa for those of you looking for a more Tacti-cool all black pistol from Armorer Works. We’ve also got the "Molon Labe" back in stock! This 1911 looks like its been to hell and back! 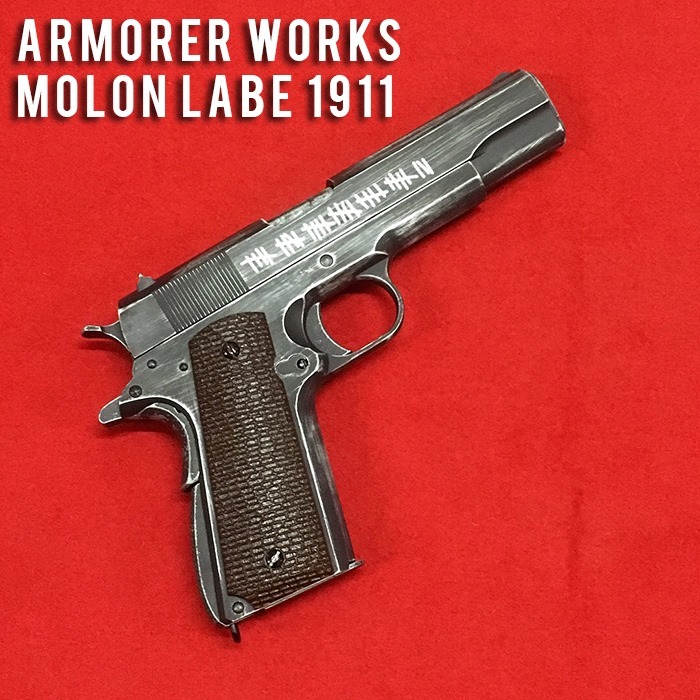 Despite its rough looking exterior, this 1911 performs flawlessly, just like its real steal counterpart! With fantastic Kick and Recoil, it is a perfect sidearm for you WW2 or Vietnam Players out there. This 1911 can also add a whole new level of badassto your modern loadouts too! Moving onto the big boys toys, Gas Powered Rifles are a fantastic choice if you’re looking for a little more realism in your standard skirmish and perhaps want to transition from a Hi-Cap Hero to a more tactical player? Both Rifles come in for under £200 and are a great way to break into the world of Gas Blow Backs Rifles! First up we have something traditional! 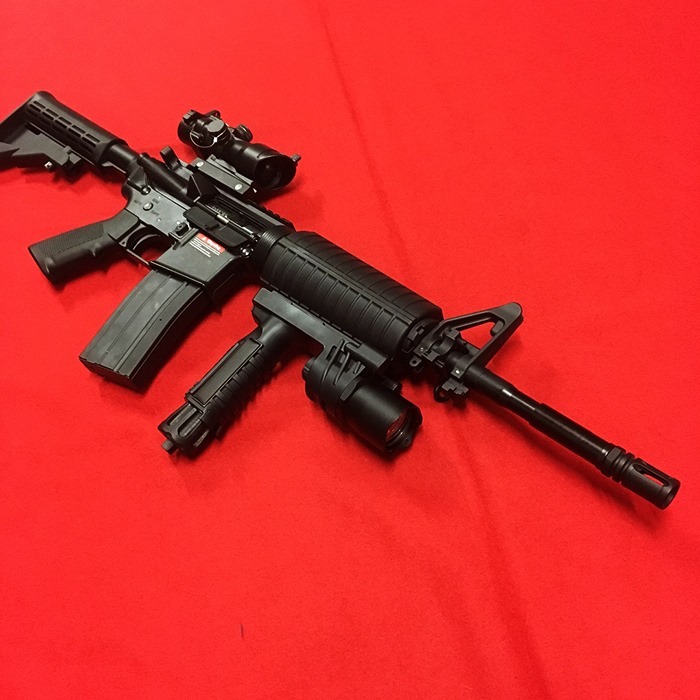 The S&T GBB M4! Something familiar for even you AEG users out there, the S&T M4 lets you step up your game for an affordable price tag! 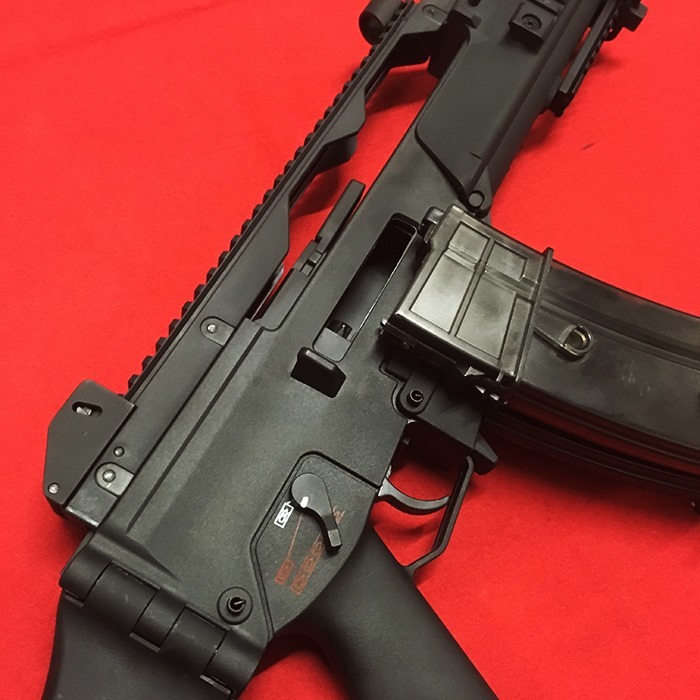 Featuring a Durable Polymer Receiver keeps the weapon lightweight, with a full metal barrel, stock tube, fire controls and of course a full metal bolt to provide fantastic kick with every shot. Feeding from 30rd magazines means you better make every shot count, or simply dump the mag on full auto, the choice is yours! 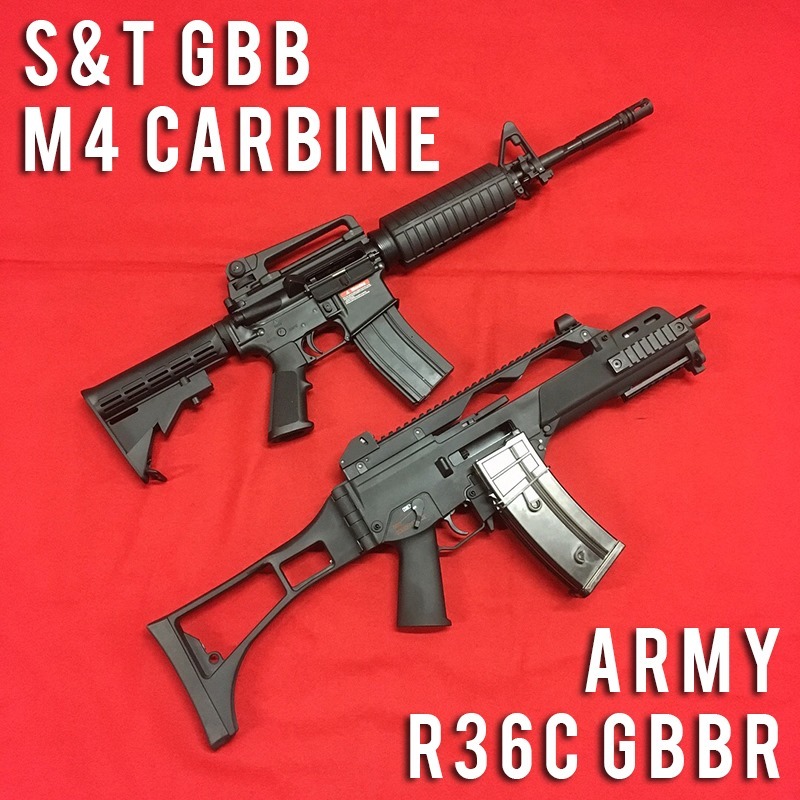 For those of you looking for something a little different we also now carry the Army Armaments R36c GBB Rifle! Perhaps you’re going for a realistic Police Impression with your Loadout? Or simply looking for something other than an M4 then this is a fantastic option! Built with a durable polymer receiver exactly like the real rifle, the R36 is anotherlightweight and easy to use Assault rifle which is perfect for use in Both CQB and outdoors. 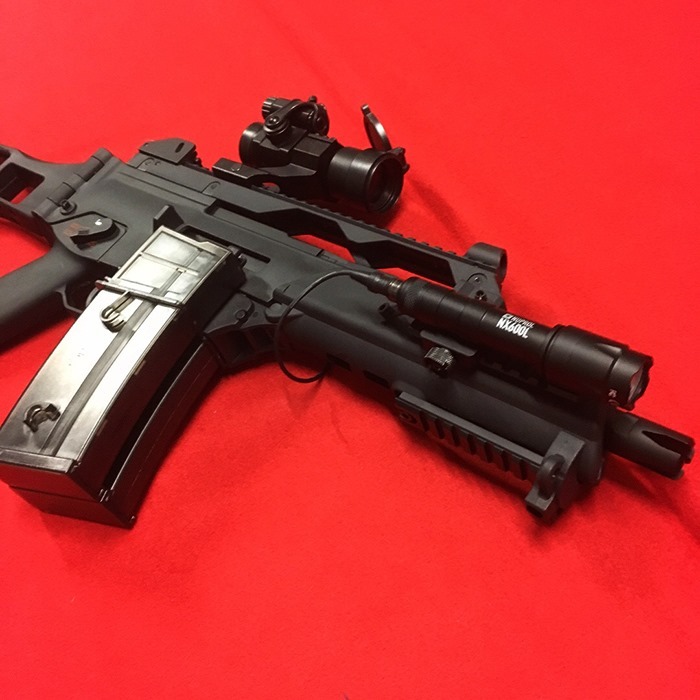 Equipped with a folding stock in the rear, 3 rails up front for accessories and a rail up top for Optics, you can have this gun outfitted in no time! Out the box this rifle also comes with 2 Gas Magazines, each holding 30rds a piece which provides a little more firepowerout on the field. Simply Load it up, Pull the charging handle and you’re good to go!